The Bahamas is home to a rare population of smalltooth sawfishes, one of the most endangered animals in our oceans. 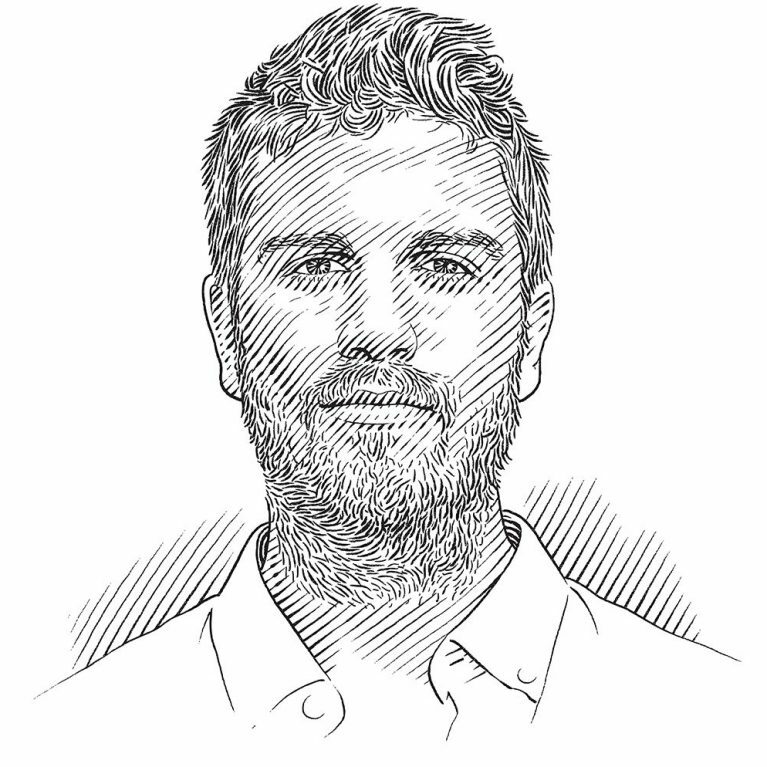 James will explore the use of drones as a safe and non-invasive way of studying these prehistoric marine animals. This project will conduct the first UAV survey of small smalltooth sawfishes and experimentally validate its use as a survey tool for shark populations. Specific objectives include, (1)Conduct first standardized UAV survey of sawfishes, (2)Estimate detection probability of UAVs for model sawfish and captive shark proxies under various environmental/physical conditions. Smalltooth sawfishes (Pristis pectinata) are critically endangered, with estimated global declines exceeding 95%. In the US, declines have recently decelerated thanks to directed conservation efforts and habitat preservation. Frequent sightings of sawfish in nearby The Bahamas, indicates a possibly separate population in need of equal conservation measures. Currently, information is lacking on the abundance, distribution, and habitat preference of this potentially independent population. 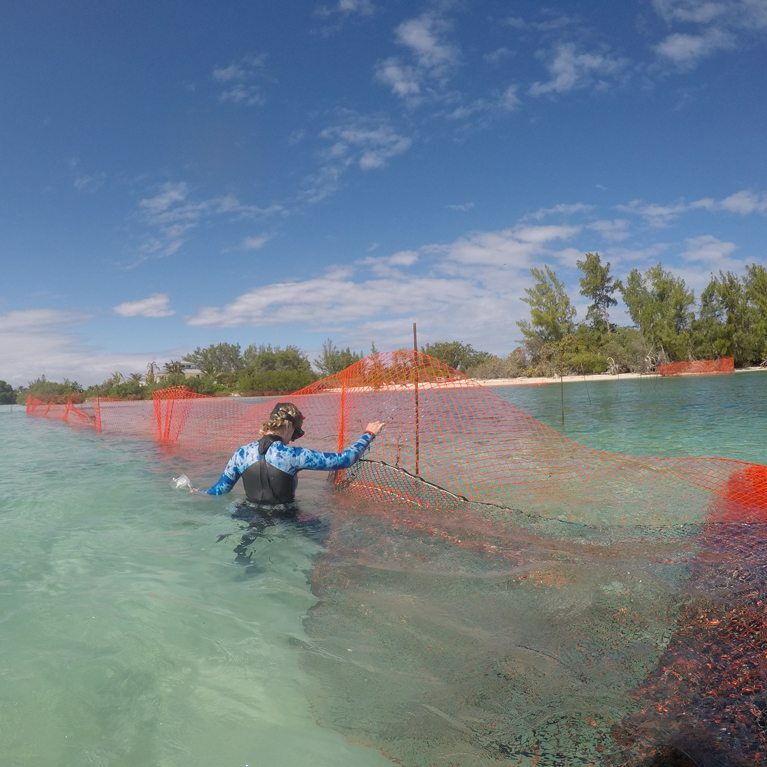 Traditional sampling methods are not well suited for this species in the region given their affinity to shallow water mangroves and the invasive nature of the equipment. Unmanned Aerial Vehicles (UAVs), may offer a non-invasive solution to study this species in inaccessible habitats. We propose the first UAV standardized survey for sawfishes, focusing on Bimini Islands, The Bahamas. Furthermore, we will be the first to experimentally validate UAV detection rates using both captive sharks and model proxies, while also exploring multispectral imagining to increase detection probability. Nearly half of all elasmobranchs are data deficient, meaning we lack the most basic information needed for effective conservation (Dulvy et al. 2014). Understanding population status, distribution, and habitat requirements is critical for theses species’ conservation and requires new and innovative ways to collect these data in order to bridge our gap in knowledge. This is especially true for species threatened with extinction, such as the critically endangered smalltooth sawfish. Despite experiencing severe global declines over the last century (NMFS 2009), US declines appear to have slowed in recent years (Carlson et al. 2007). If recovery is to continue, lifeboat populations such as in the Bahamas must be studied and protected. Low densities and expansive, inaccessible habitats, have limited their study in the region, but the rapid development of UAVs may offer a solution and have been used to study sharks in other remote regions. However, a limitation of such aerial surveys is that detection rates are often assumed to be 100% (i.e. Kessel et al. 2013). In order to limit the biases introduced by this assumption, researchers are frequently limited to sampling under ‘ideal’ condition (i.e. shallow environment, low turbidity, low wind, low sea state, time of day to reduce glare), which may in turn bias abundance and distribution estimates. Conduct the first UAV survey of sawfishes. This will constitute the first standardized UAV survey of sawfishes, and could provide a blueprint for others to follow in similar environments. Through this work, we hope to address the paucity of information on sawfishes, particularly in remote regions. Estimate detection probability of UAVs for model sawfish and captive shark proxies under various environmental/physical conditions using conventional camera systems. Aerial surveys, including UAVs, often assume unrealistic perfect detection rates among observers. By quantifying detection rates under varying environmental conditions, we will improve the accuracy of these survey methods. Determine if detection rates for UAV surveys can be improved through the use of multispectral imaging cameras. This work may expand the applicability of aerial surveys, enabling their use in deeper environments that previously capable. Furthermore, this may allow for automation of elasmobranch detection from videos, significantly reducing processing time. Annual encounters with the four sawfish species found in Bangladesh are reported to have been declining drastically over the past five years. Alifa is training local fishers to help map where these Critically Endangered species were found and what habitat is essential for their survival today. Rays are common in tropical seas, but not much is known about their basic ecology or their roles in marine ecosystems. Kevin is keeping an eye from the sky on foraging rays on the Australian coast. The smalltooth sawfish populations that once spread from Texas to North Carolina have vanished, except for a small reserve in south Florida. However, it seems that protection measures in recent years might be helping these sawfish to recover. Tonya is searching for clues in Tampa Bay, the first place where recovering sawfish populations would extend their range north.